I just saw some promo photos for a new China Glaze collection on Delta Cephei, a Dutch blog, and I thought I would share them with you! I don't often share press release photos - only when I find them exciting! I love China Glaze, and this is why! I'm getting all six, you can be sure of that. I'm not sure on an exact release time for these but it is sometime in spring 2012. What do you guys think? Are you excited for this collection? Hoh man they do look awesome!! holy cats! I am getting these!!!!!!! China Glaze I LOVE YOU!! I hope they're real holos ! holographic-like technology :p They look great though! Here is hoping! Ok. I'm already in love. This seems amazing! Crossing fingers for real holos! OMG, these are gonna be popular, love 'em!! 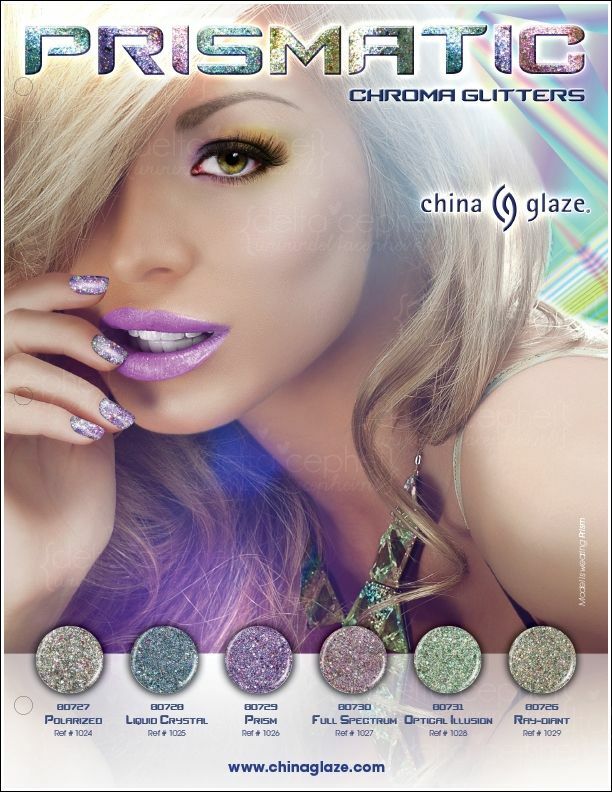 I'm so happy that china glaze listens to their audience. They know we obsess over their OMG holos, so they keep trying to reach it again. First the dud tronica collection, now this. I hope these live up to our expectations! Thanks for sharing, this was my first time to see these promo pics! 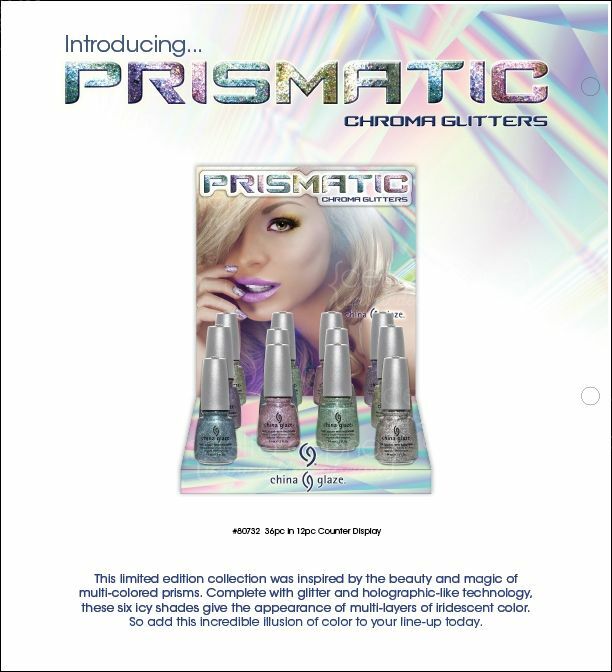 ooh, i thought they were holos when i say the title but these look cool too : )! oh wow I can't wait!!!! 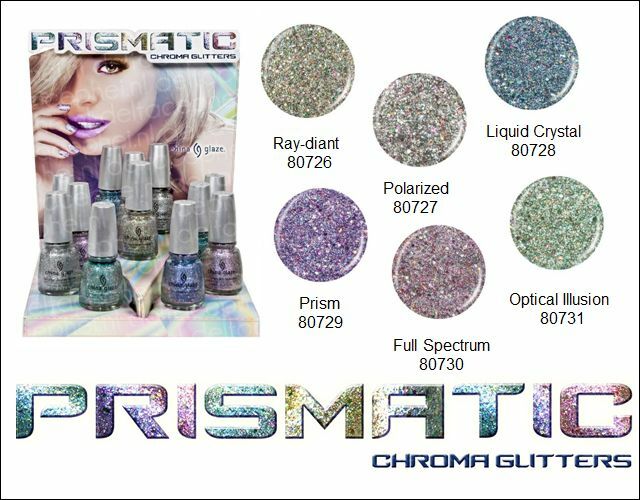 I wish these were actual prismatic (holigraphic) polishes, but I'll guess I'll have to wait to see the swatches. I wonder why they decided to charge more for this collection, they have had "limited edition" collections in the past, I wonder what is so special about these ones, they look mostly glittery :( Why can't they just make real holos anymore!!? ?